What they did: Clodagh totally renovated this room, ripping out all the existing fittings and completely re-working the space to suit her needs. She installed a new pump, shower area and sanitary-ware, added new floor and wall tiling and had the door split in two to create easier access, making for a functional bathroom makeover. 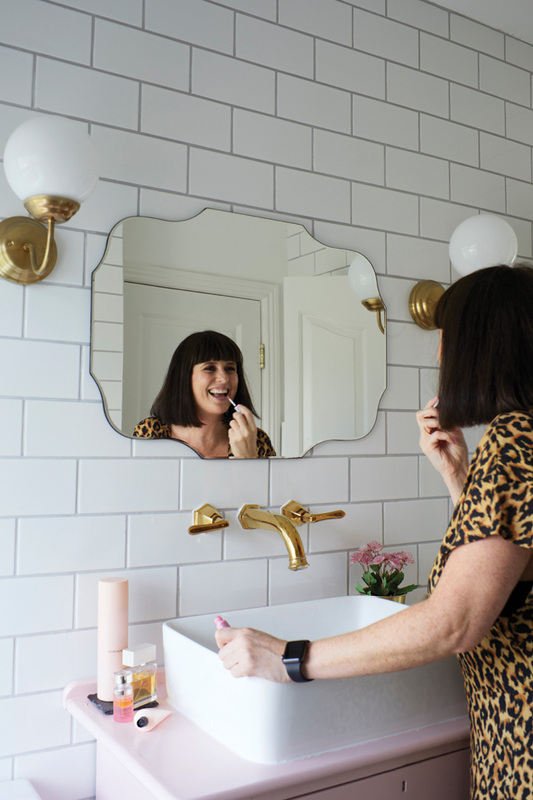 'The bougiest bathroom on the street’ was the mantra that brand and PR communications manager Clodagh O’Hagan had in mind when it came to renovating her upstairs loo. She bought her Dublin 12 terraced house in December 2017, and it needed work. “I did a total renovation,” she recalls.  “Lights, skirting, floors and doors, the kitchen and bathroom – the only thing that hasn’t been changed is the stairs.” That all took time, and Clodagh had to wait until Easter 2018 to move in. 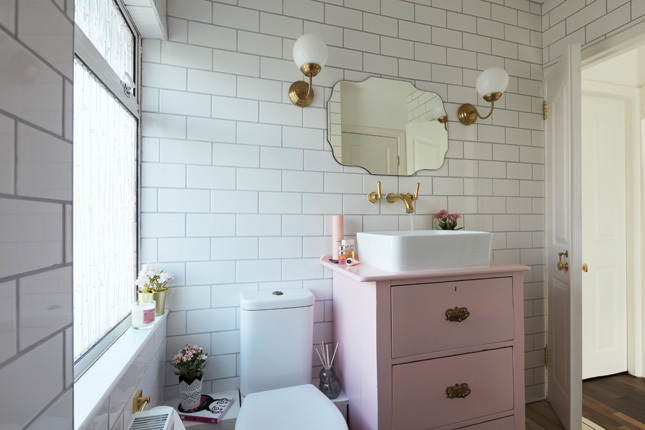 In the living room you’ll find a plush blush velvet couch, the kitchen’s been given some pink sunshine too, and upstairs in her pretty bathroom the hue comes to life in the form of the statement under-sink cabinet and the tiling accents in the shower. “The old bathroom would not have been a joyous experience,” Clodagh says wryly. “I’d describe it as a metallic, non-glam shiny cavern. It was all black mirrored surfaces.” A large bath dominated the small space, as did old-fashioned sanitaryware. “My priority was the kitchen and bathroom. You really need a clean kitchen and bathroom, and from moving into a small space, I was really conscious that everything had to be pretty as well as functional,” she states. That requirement necessitated the removal of the bath and the installation of an extra-long shower-tray and power shower instead of an electric one – “it’s really important in the morning” – so a new pump had to be installed too. “I’m pragmatic,” Clodagh says. 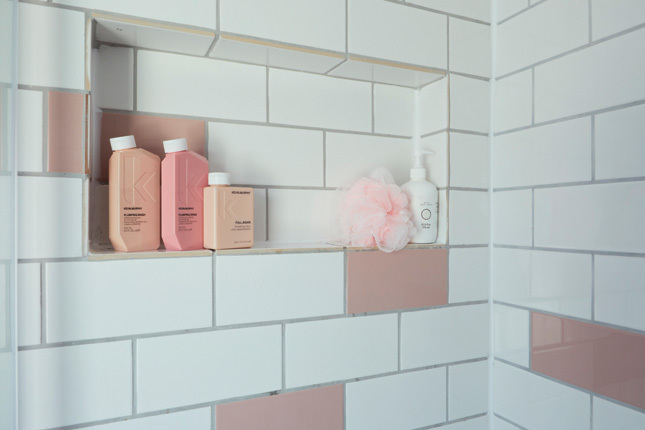 “I wanted that mix of ultimate power shower, and everything instantly accessible – but I wanted to have my glamour in the morning too.” Clever touches such as a shelf built into the shower wall to house shampoo and shower gel look good and work hard. “I love the shelf in the shower, it makes my morning so easy,” Clodagh says. The removal of the bath also allowed for lots of extra storage for towels and laundry; a very welcome bonus. One of the most impressive areas of the bathroom is the sink area. The statement taps, sink and washstand were designed by Clodagh to create impact. “I bought the unit at a salvage yard and had it painted. My carpenter put the sink on top – it’s really key to have a good carpenter for this,” she says, adding “he shortened all the drawers to put the pipework behind them.” Now this unit serves as a vanity and capacious storage for all her beauty bits. Its arrival into the bathroom required the door to be split down the middle for access – a necessity that’s become a favourite feature. “We had to do it, otherwise the door would have banged off the sink unit, but I actually like it way better this way,” Clodagh confirms. So does she ever regret removing the bath? “No,” she laughs. 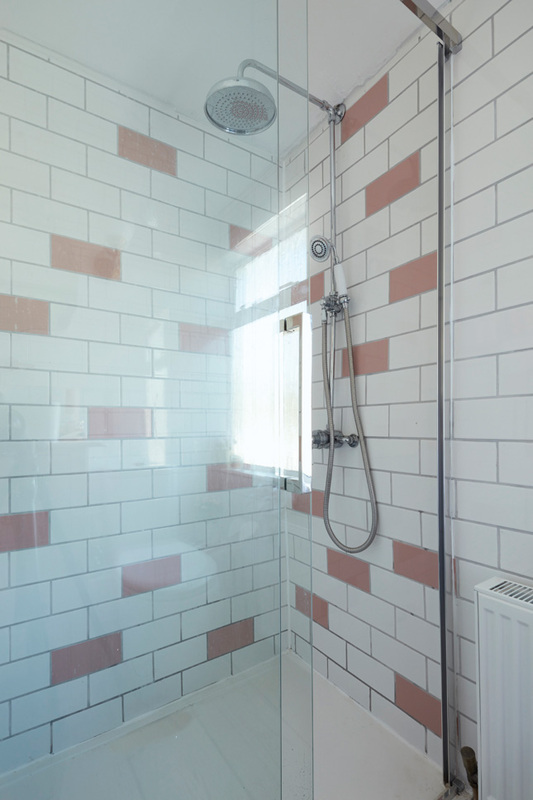 “I don’t miss it – I had my first bath in five years on holidays in Rome recently and I didn’t know what to do with myself.” In fact, if she’d had her way, she’d have installed a wetroom – but the builders nixed that. 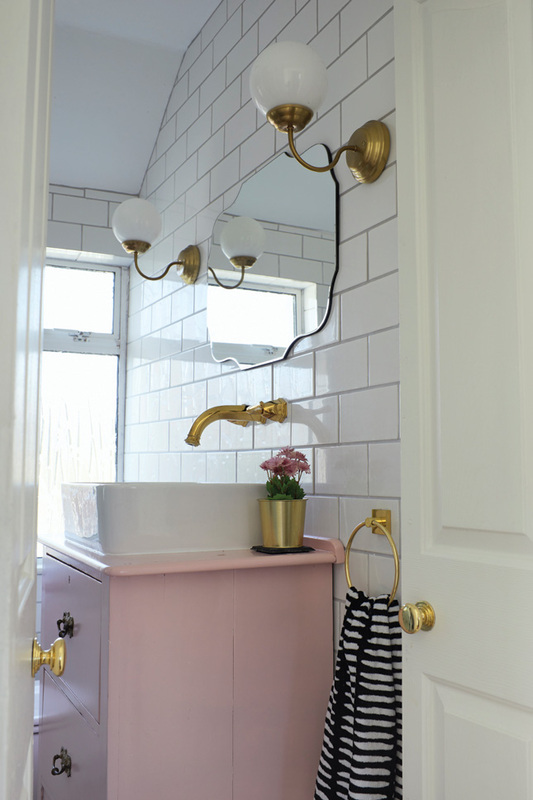 Clodagh’s made-over bathroom is a great example of going with your gut and designing what you love – not what you think you should have: from her pink accent tiles in-shower to her clever washstand and Ikea light fittings – “I sprayed them extra gold” – she’s created space to soak that is utterly, and uniquely, hers.